It’s official! I have an author page at Amazon.com. When people search for me or any of my books, a link to my page shows up. Anything I’ve written is listed, I’ve got a cute little biography there, and you can even see posts to this blog from there! For now there’s not a whole lot else there. In the future I can list events like book signings or readings there, and if I ever do a video showing off my book, I’ll post it there. Discussion forums can be set up where I can respond to reader questions too. I hope some of you who are reading my book right now (or in the near future) will start discussions there on what you’re reading. If this is your first time seeing my blog, I just wanted to provide you with a few links to some past articles you might enjoy. Don’t forget to enter my book giveaway contest, and I look forward to interacting with readers through Amazon.com! I had, in the last week, the delightful opportunity to see two wonderful, awe-inspiring movies. I’m sure you’ve heard of them. First, I saw Avatar with my wife and brothers. This movie was nothing short of magnificent. I did see the film in 3D, and aside from a few small gripes I have with today’s 3D film showing technology, the 3D added more than just another dimension to the movie. What made this movie outstanding for me can be illustrated in just two solid points. First, I went in to the movie knowing full well that the plot was essentially ripped off from Pocahontas (though I don’t believe Cameron did it on purpose), and still James Cameron’s storytelling kept me engaged and entertained to the end. If you can go into a movie knowing how it ends and what will happen around every turn, and still enjoy it thoroughly, then it is a good movie. Second, as someone who loves movie special effects, I am familiar with a tendency in Hollywood to allow the special effects to steal the show. Many a good movie has been nearly or entirely ruined because the effects were too good for the viewer to allow them to fade into the background of the story. In Avatar, the effects perfectly faded into their rightful place as a storytelling mechanism. They were nearly perfect in every way (and where they did not excel, they receded even further into the back of the viewer’s mind). 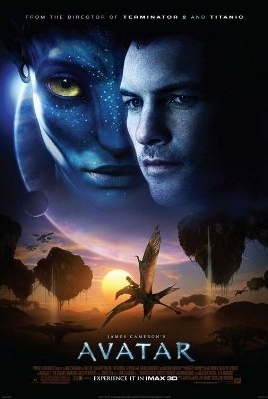 I had no problem believing that the world of Pandora was a very real place to the characters I saw on screen, and at no time did I feel like I was experiencing another Jar-Jar-esque CGI character while watching the Na’vi. For some, the world was not only real and beautiful, but it was so much better and alluring than Earth, that they are dying to visit. After such an epic movie (and “epic” is my favorite word to describe Avatar), I was hesitant to watch anything else for a while. Later the same week, though, my wife and I went on a date to see Sherlock Holmes. This Sherlock Holmes installment was the most beautifully rendered of any I have ever seen. As a huge fan of the stories by Sir Arthur Conan Doyle, I have always been looking for a suitable film adaptation of his original characters. Unfortunately, most of the previous Holmes films I had seen had failed miserably. 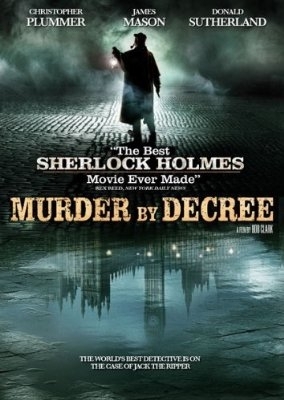 Shortly after watching this new Sherlock Holmes movie, I was in a rental store and saw the cover of a Sherlock Holmes movie I had never heard of: Murder By Decree. As for my current belief, Robert Downey Jr. played Sherlock Holmes better than any man before him, and Jude Law made a singularly perfect Dr. Watson companion to him. The two played very nicely together, and the depiction of their characters was precisely as I had envisioned it during my reading of the stories. 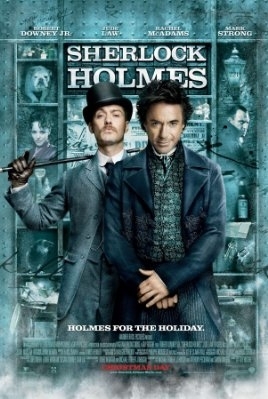 For me, Sherlock Holmes staring Robert Downey Jr. will always be the definitive Sherlock Holmes movie. Finally, before I let you go, I have to apologize for getting ahead of myself earlier. I rushed to offer my new book (Facebook Drives Me Nuts) for sale before it was ready. So, the first edition, which nobody bought, is immediately discontinued, and the second edition, which is currently undergoing review, will be offered for sale before the end of the month (if all goes well). I am thinking of sending out a few signed copies to my closest friends and family, in hopes that they will read the book and spread the word. Of course, if they don’t like the book, such an act could backfire on me most horrendously. I shall have to proceed with caution. Watch for an announcement here followed by copious amounts of self promotion through all of my available channels once the book is approved for sale. I told myself I wouldn’t make a list at the end of 2009, but I’ve got a list for you. There you have it. If you’re new to my site, these posts would be a good place to get a feel for my material. Thanks for stopping by! I look forward to doing a similar post each year (or every other year?). Or should that read, Yet Another Waste of My Time… I have yet to see. This project is complicated, and I should just let it explain itself. Head over to the main page and start reading. Maybe you can help me out a little! If you’ve been following since the first letter I wrote, I just received a response to yesterday’s letter and here it is. It’s short, it’s cold and it’s completely useless. Notice that the second paragraph is the only thing this lady took the time to actually write to me, the rest is canned. Thank you for your reply. My name is [Service Chick] and I am happy to assist you. [Mediocre Renaissance Man], at this time we do not know if we will have phones that will support the Android software. With [Service Dude]’s response, we cannot even mention any potential phones that have not been announced to the public. I am sorry for the inconvenience this may cause. Thank you for giving me the opportunity to assist you today. We appreciate your business and thank you for using Verizon Wireless. Should you have additional questions or concerns, please reply to this e-mail. I am sorry too. I hope that Verizon offers or announces something before I move in a couple of months. I just wish they would reaffirm their intentions to release something, even with no definite time frame. I think I made that clear in my communications with them, but I was talking to the wrong department. Customer service doesn’t know much more than I do as a consumer. I really should have tried harder to contact a different division. Maybe I will, next time. This is follow-up for the letter to Verizon Wireless that I wrote yesterday. For the follow-up to these letters, see this entry. My name is [Service Dude], and I?ll be happy to assist you with your equipment questions today. I am unable to provide information regarding which equipment is being considered or approximate release dates, as this may raise expectations that may not be met. There are several wireless phones being tested for functionality and reliability with our network. Verizon Wireless will not offer a product or service unless it meets the high standards our customers have come to expect. Verizon Wireless is constantly improving the services, features, and wireless phones we offer to our customers for their communication needs. [Mediocre Renaissance Man], I hope this information has been helpful. We value your business and appreciate the opportunity to continue as your wireless service provider. Thank you for using Verizon Wireless products and services. Should you have additional questions or concerns, please reply to this e-mail. Thank you for your timely response. I fear you have understood my inquiry well, but somehow managed to pretend you missed the point. I am familiar enough with Verizon’s complete lineup of handsets and I am not interested in any of them (I currently have the Samsung SCH-U620 and am not displeased with it). I am not looking for just another handset. I am looking for an Android handset. Like I said in my initial communication, this is something of such a great importance to me that I am considering switching service providers unless I receive some indication that I will not have to wait long to get an Android phone on the Verizon network. I do somewhat appreciate your vague statement about “several wireless phones being tested for functionality and reliability with [y]our network,” but I am afraid it does not provide enough of an assurance that an Android phone will be available to me soon. I am sure you understand my position as a customer. Having worked in customer service many years myself, one of the greatest customer service philosophies I came to understand is that loyal customers are the most important foundation on which a business should maintain itself. If you begin to lose longtime, loyal customers, you hurt your business almost irreparably. I hope that Verizon will announce something soon that will answer my question. I will be moving away from my current home in California within the next few months, and when I get to my new home (even if my contract is not yet expired with Verizon Wireless) I will begin researching T-Mobile’s service in my area. I am sure I am not the only Verizon customer with such plans. The only way Verizon will be able to retain my business is if concrete plans to release an Android phone are revealed before I move. I understand that I am just one customer among many hundreds of thousands on the Verizon network, and my changing networks will not ultimately hurt business for the company. I am not trying to make threats. I am simply pointing out the fact that good, valuable customers (like myself) are walking away from your company simply because of your inaction. All it would take is one press release (dated 2008, last year’s press release is not enough) to assure Verizon customers that an Android phone is coming soon, and many customers would be retained. I have been your customer exclusively since I purchased my first cell phone in my first year of college several years ago. The years have been good to us, and I am pleased to report that I have been almost entirely satisfied with all of your services. These days I work, support a wife and two children and maintain a technology blog in my free time. As a longtime fan of Google products and services, I was thrilled by the announcement and unveiling of T-Mobile’s new Android enabled phone, the G1. In fact, I was so excited about the new product that I immediately found myself at your competitor’s web site researching pricing and plan information. My contract with Verizon won’t be over until November 2009, but I was already considering abandoning my favorite service provider to get the shiny new G1 in my hands, despite the complaints I have heard about T-Mobile services. So, as a technology blogger, Google buff and loyal Verizon customer, I am asking you directly: when can Verizon customers expect to see an Android phone available? I am aware that LG, Samsung and Motorola have all announced their intention to build Android phones, but which one(s) will we see on the great Verizon network? Will Verizon just sit back and watch their customer base switch (even in small numbers) to a competing network without doing anything to retain them? If Verizon would simply announce something (a date, timeframe or even just the intention to release an Android phone) – other than the announcement last year that Android would be supported on the Verizon network – many customers like myself would remain loyal and wait for the official arrival of a Verizon Android smartphone. A clear and detailed answer to my inquiries would be much appreciated, and the failure to respond with action before my contract is up will result in at least one fewer Verizon customer. I e-mailed this to them (via their “contact us” form on their website) today. Now we wait and see. I’ll let you know if I get a response. I’d really rather stay with Verizon, but if I can’t get my hands on an Android phone on their network soon you can bet I’ll be switching. Their response and my subsequent response can now be read here.